Two centuries-old burial vaults discovered beneath a street in the heart of NYU's campus by workers replacing a water main were likely part of a Presbyterian church cemetery, archaeologist says. The Austro-Hungarian Empire in 1914. Austria-Hungary was one of the Central Powers in World War I. It was already effectively dissolved by the time the military authorities signed an armistice at Villa Giusti on 3 November 1918. 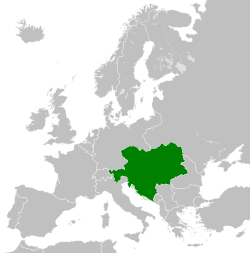 The Hungarian Kingdom and the Austrian Republic were treated as its successors de jure, while the independence of the West Slavs and South Slavs of the Empire as the Czechoslovak Republic, the Republic of Poland andKingdom of Serbs, Croats and Slovenes, respectively, was also recognized by the victorious powers. The U.S. power transmission grid consists of about 300,000 km (190,000 mi) of lines operated by approximately 500 companies. The North American Electric Reliability Corporation(NERC) oversees all of them. Management by objectives (MBO), also known as management by results (MBR), is a process of defining objectives within an organization so that management and employees agree to the objectives and understand what they need to do in the organization in order to achieve them. The term "management by objectives" was first popularized by Peter Drucker in his 1954 book The Practice of Management. The essence of MBO is participative goal setting, choosing course of actions and decision making. An important part of the MBO is the measurement and the comparison of the employee’s actual performance with the standards set. Ideally, when employees themselves have been involved with the goal setting and choosing the course of action to be followed by them, they are more likely to fulfill their responsibilities. According to George S. Odiorne, the system of management by objectives can be described as a process whereby the superior and subordinate jointly identify its common goals, define each individual's major areas of responsibility in terms of the results expected of him, and use these measures as guides for operating the unit and assessing the contribution of each of its members. MBO has its detractors and attention notably among them W. Edwards Deming, who argued that a lack of understanding of systems commonly results in the misapplication of objectives. Additionally, Deming stated that setting production targets will encourage workers to meet those targets through whatever means necessary, which usually results in poor quality. Point 7 of Deming's key principles encourages managers to abandon objectives in favour of leadership because he felt that a leader with an understanding of systems was more likely to guide workers to an appropriate solution than the incentive of an objective. Deming also pointed out that Drucker warned managers that a systemic view was required  and felt that Drucker's warning went largely unheeded by the practitioners of MBO.